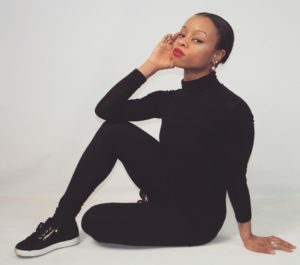 She has trained & performed with Dance Theatre of Harlem-Nutcracker (NYC) Joel Hall Dancers (CHI) Centre du Dansê Marais ( Paris, France) Dance Ministry Instutite- Nativity: Birth of a King (NYC) Judah International Dance Theatre- Psalms Symphony (NYC). Furthermore, Chantal was featured & interviewed on Trinity Broadcast Network & Bobby Jones Presents. Finally, she is finishing the filming of her documentary as a Spiritual Ballerina. What age did you started dancing? I didn’t start technically dancing (ballet/modern) until I was 17 going on 18. Movement was always apart of my being. However, I started gymnastics at the age of 6. 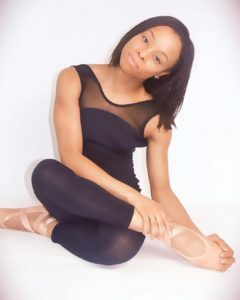 In high school, I joined the dance team which helped tremendously with my confidence, rhythm, and coordination. Tell us about your very first performance. Well I had quite a few gymnastics & dance team performances but I’ll tell you about one of my life changing performances. My first ballet performance was when I was 18 years old. 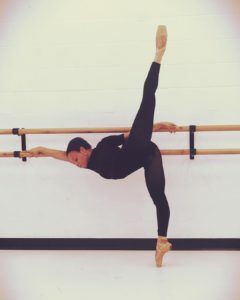 I trained rigorously for 3 months in the summer and took every class offered at my studio (Danspiration Center Inc). Also, I went home every night to practice and stretch for 2 hours to make up for lost time. I was determined and knew this was something that God was calling me towards. 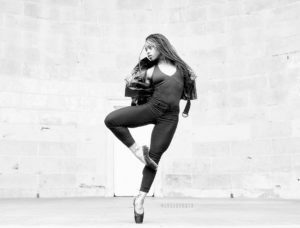 After those 3 months of training, I was already dancing on pointe. It’s never too late to go after your dreams! My first Ballet Performance was created for me. My teacher looked passed my lack and saw my potential further more my possibility. I danced to Psalms 23 by Jeff Majors. 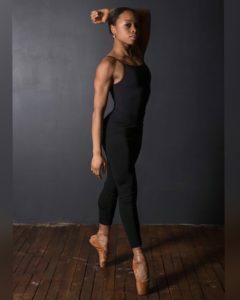 At the time, I didn’t know who God was fully creating me to be but now I see why my first ballet piece was created to a Gospel song. It shaped who I am today a Spiritual Ballerina. What are your performance traditions? Hmmm. Let me think? Definitely, my performance in Paris because it was a dream come true. I grew up with the desire to travel to Paris, France. My uncle named me while he was on tour in Paris. Additionally, I studied the language and culture for years. Also, I danced at the Centre du Dansè Marais. Another one would be ministering in dance on Trinity Broadcasting Network. Furthermore, I grew up watching the network and then to be interviewed and to perform on the show “Praise The Lord” was surreal. I am truly Blessed. Described being a spiritual ballerina. 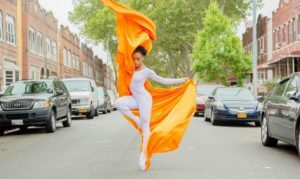 The surface level of being a Spiritual Ballerina ( a niche I created) is that I minister as a Dance Ministry Artist on pointe. I remember feeling horrible after a Ballet Pointe class; made mistakes and was near tears. Everyone left the studio after class. However, I still had my pointe shoes on, walked towards the stereo and turned on some Gospel music. In that moment, I ministered to myself. 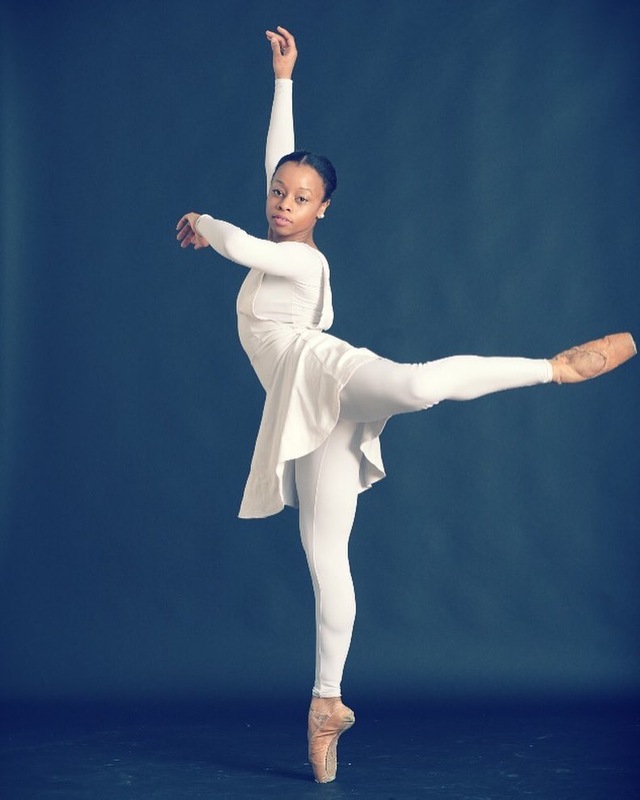 As a result, I continued to fuse liturgical dance and ballet pointe work. 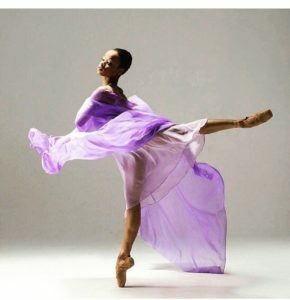 The deeper depth of being a Spiritual Ballerina is being an example of a women after God’s on heart, drawing God’s children closer to him, and showing the same love my Lord has shown me. Being a Spiritual Ballerina is not so much about the before lines and pretty garments but it’s about the viewer being touched by God. It’s about what you feel during the performance, what you take from it, did it provoke a thought that will move you forward in this life, will you be uplifted, will you love again, will your faith be renew, will you hear God through it? 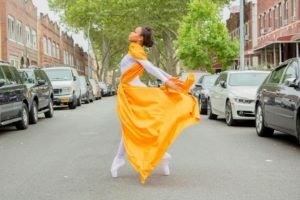 Being a Spiritual Ballerina is transcending the Gospel. It’s dancing the Gospel. What were the best/worst tips you received about dancing. My best tip was, “Use what you have to the best of your ability.” God took time placing your gifts inside of you for a purpose with purpose. Value them. You are enough. Yes, set goals but don’t allow those goals to take away from the beauty already in you. I remember wanting a whole other body and I would pray to God to make me beautiful. It was because I never took time to look at myself. I was always mesmerized by the next dancer. That’s why it’s great to set time aside for yourself, to see yourself, be with yourself, and love yourself. My Worst Advice would be a teacher telling me I needed to lose weight and not to eat carbs, dairy, or sweets. Basically consuming vegetables and some meats. My response now to this bad advice is; Don’t let someone’s perception of you shape you. We are all created differently & that’s what makes us divinely unique. At the time, I had really low-self esteem and I listened. The result from taking that bad advice was being malnourished with a pulled hamstring, which took months to heal. During that process, God revealed that I was perfect the way he created me and the only thing I needed to consume was his words and love. 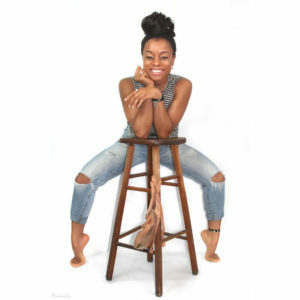 What choreographers you will like to work with? I am grateful that God choreographs with me daily in spirit and in truth. Also, I would like to work with Alonzo King. His work transcends beyond this earthly realm. In addition, I would like to work with Darrell Grand Moultrie. I see the heart in his work and he brings out something special in the artist upon the process that can’t be pushed out on their own. 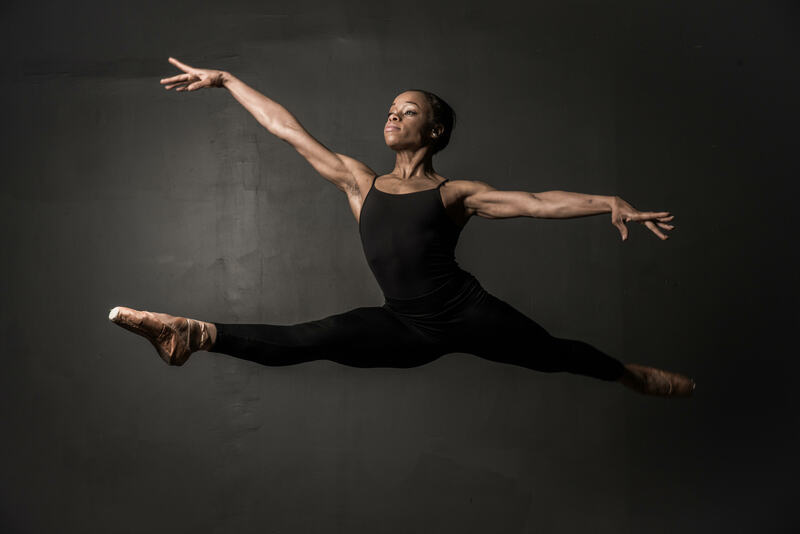 How do you deal with the challenges of being a dancer? I am motivated by the triumphant woman of the Bible. Their stories give me strength. 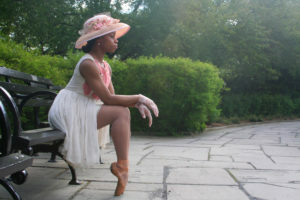 Which is why I am developing a Spiritual Ballerina project portraying them in photography. My family and friends motivate me. People who are determined and tenacious to live out their purpose. What would you like to tell young girls starting out in dance? You are more than your dancing. There are so many treasures within you. You are a beautiful young lady that God loves dearly. Love your self in the same way he does. You are a beautiful talented dancer. Don’t wait for someone to tell you it. 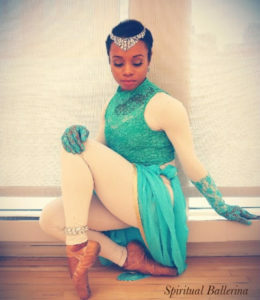 Tell yourself it every opportunity you can because you are a beautiful talented dancer!